All signed editions from Topping and Company Booksellers will be wrapped with great care in protective packaging and shipped securely via courier to ensure safe delivery.Hardcover New and Signed First Edition. Dust jacket is in fine condition. 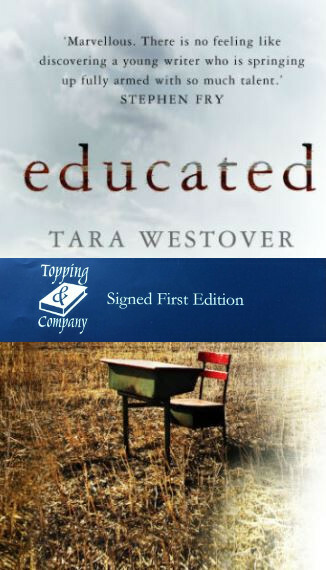 Tara Westover was seventeen the first time she set foot in a classroom. Born to survivalists in the mountains of Idaho, she prepared for the end of the world by stockpiling home-canned peaches and sleeping with her “head-for-the-hills” bag. In the summer she stewed herbs for her mother, a midwife and healer, and in the winter she salvaged metal in her father’s junkyard. The family was so isolated from mainstream society that there was no one to ensure the children received an education, and no one to intervene when an older brother became violent.